The $35 bln U.S. airline’s growing top line has so far outpaced the rising cost of oil. But the company warned fuel will squeeze its profit for the full year. The 2012 purchase of a refinery has only modestly mitigated the problem. To justify owning it, Delta needs more juice. 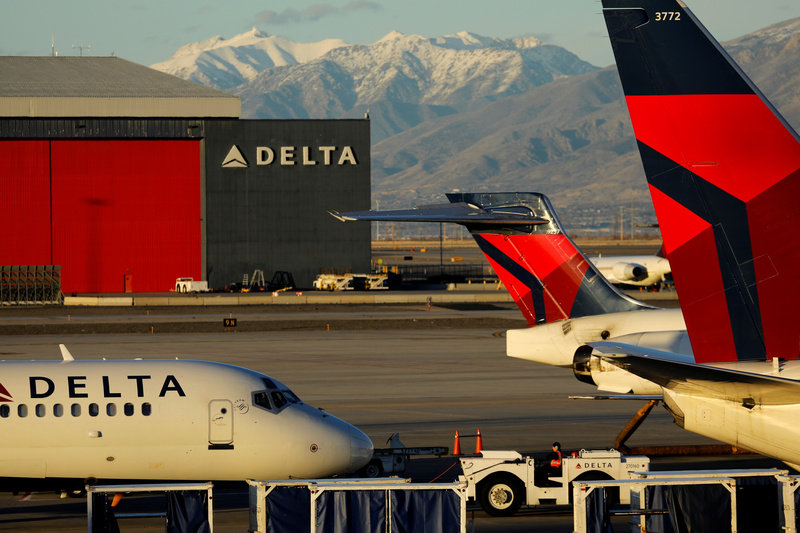 A Delta Air Lines flight is pushed put of its gate at the airport in Salt Lake City, Utah, U.S., January 12, 2018. Delta Air Lines on July 12 reported quarterly earnings that beat profit and revenue estimates, but the company cut its full-year forecast to reflect higher fuel costs. Delta earned $1.77 per share in the second quarter, topping the consensus estimate of $1.72, according to Thomson Reuters I/B/E/S. Total operating revenue rose 9.6 percent to $11.8 billion, versus an estimated $11.7 billion. Total revenue per average seat mile excluding refinery sales, a closely watched metric for the industry, increased 4.6 percent during the quarter. However the company reduced its forecast range for full-year earnings by $1 a share to $5.35 a share to $5.70 a share due in part to an anticipated $2 billion higher fuel bill for 2018.